Please join us on Saturday July 27, 2019 for an amazing 5K Run and 3K Walk to honor the memory of Darren and support our local veterans! The race will start on School Street at Brocton Central School and finishes at the Brocton American Legion Post 434 (right next door to the school). Race day registration and packet pickup will take place on the patio of the Legion Hall from 8:30 am right up until the start of the race at 10:00 am. *All participants who register before 7/7/19 will be guaranteed to receive an official Manzella-Lapeira 5K t-shirt! Those who register after this date will be provided with a shirt (if available) on a first come-first serve basis. *Children under 12 will have the option of ordering a shirt for $12 during the online registration process up until 7/7/19. *Children under 12 can also register at the regular price if they want to be chip timed and have the shirt included! Darren knew people all over this country and we understand that some can't make it to New York for the run. If you want to help honor Darren's memory by joining in the run, no matter where you are, just select the "Virtual Participant" option from the Register Now selection at the top of this page. We will send your shirt in the mail and on the morning of the race, run a 5k wherever you are. 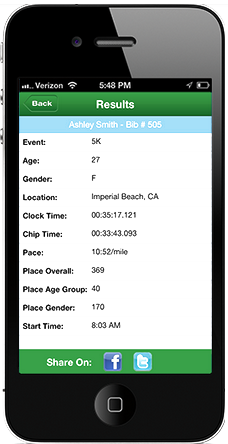 We ask that you post a selfie and a screen shot if you use a run tracker on the race Facebook or Instagram page after you run with us that morning! All race participants and supporters are invited back to the American Legion Post for a post-race celebration where chicken dinners will be available for purchase, basket raffles, and other activities! There will be plenty of free parking at both the Legion Hall and in the school parking lot next door to the hall. Age Groups: 14 and under, 15-19, 20-24, 25-29, 30-34, 35-39, 40-44, 45-49. 50-54, 55-59, 60-64, 65-69, 70 and older. For additional information on the race or sponsorship opportunities available, please contact Nancy or Michael Manzella at 716-792-9837. Visit our official website for complete details.